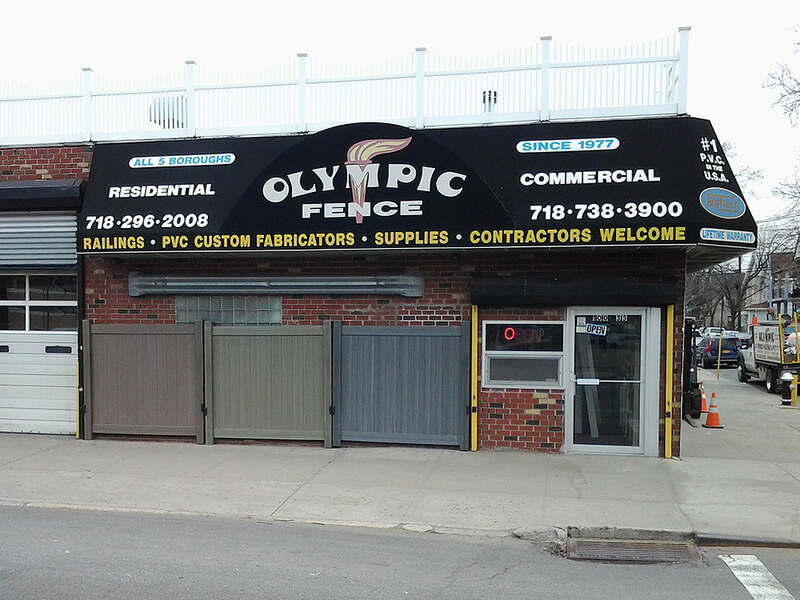 Family owned and operated since 1977, Olympic Fence has brought our customers the best products and services available, whether it’s a commercial or residential installation. Being a family business, the quality of our workmanship and staff is extremely important to us. We use all of our own installers and never subcontractor and are fully licensed and insured. At all times, we respect the opinion of our customers and listen to their ideas before our own and then give our recommendation. We are here to help and assist you whether its to beautify your home and garden or to secure and protect your business. For over 38 years, we have brought New York City and the five boroughs the best and longest lasting commercial and residential chain link fencing in New York City. Now with Bufftech CertainTeed vinyl products, we again bring you the highest quality and leading manufacturer in vinyl fencing and railings. We are one of the biggest retailers of Bufftech CertainTeed vinyl in the NYC area, and we fabricate all vinyl fencing on premises in our facility. For you “do-it-yourselfers”, we sell all of our fencing over the counter, and of course, we welcome all contractors. So come down to our showroom to acquaint yourself with our friendly staff, and to see our spectacular variety of products in our showroom. Compare and see the difference for yourself.